In other news, we made MORE THAN ENOUGH MONEY for Fart Robot! If you donated money, email me your shipping information so I can send you your treats. THANKS! 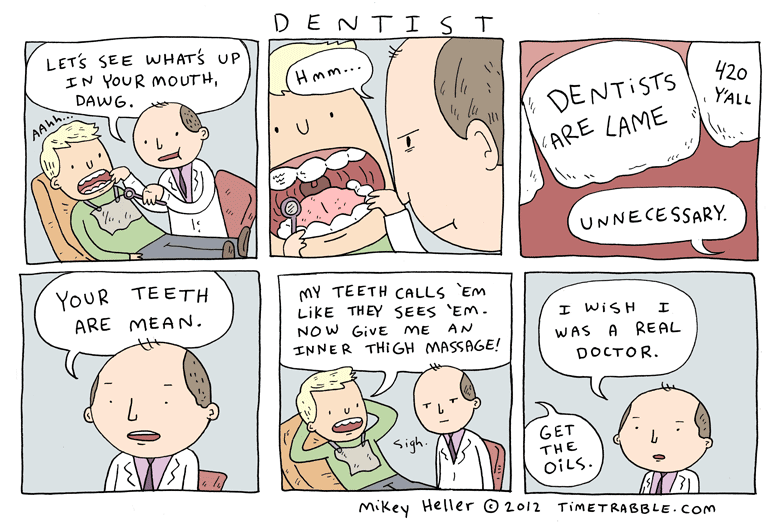 I wish all dentists would talk more informally like that. It would be easier for patients to relate to them if they did. I’ll suggest this to my dentist, ronald receveur, and see how it goes. It would be interesting to see a real dentist speak like that, but that would be a rare case. They didn’t work their butts of to finish a challenging degree, and just speak like that right after. The dentists in the dentistry in sydney are such professionals that you will never hear them speak like this at all. I have friends who hail from dentist rockford il clinic and I’m sure that this will be offensive to them. Don’t get me wrong, they are good people but please don’t make fun of their profession.